At the School that Top Ender and Big Boy attend (although Top Ender leaves in just a few short weeks) there is an ongoing challenge to all the children. The challenge is to read, something which we do in our house at least four times a day, but closer to seven or eight if I'm truly honest. The reading material doesn't have to be a reading book, it could be reading a shopping list, a recipe, a comic even just as long as the children are reading everyday. Then the children or a parent, note down that they have read in the School/Home contact book and that's that. I have a further rule, that each reading session has to be at least 15 minutes long, but that's not a School rule and I have it because both Top Ender and Big Boy have inherited their love of reading from their Daddy and I and they have also inherited their love of speed reading. Whilst neither of them are quite as fast as I am, they are well on their way! At School, the Teaching Assistants or Teacher count up the number of times the children have read and when they get to 25, they get a certificate in assembly. They get another at 50, another at 100 and another at 200. The School are making all the Children excited about reading, excited about being recognised in front of their peers for making reading something tangible. The last level they can reach in one School year is 300. 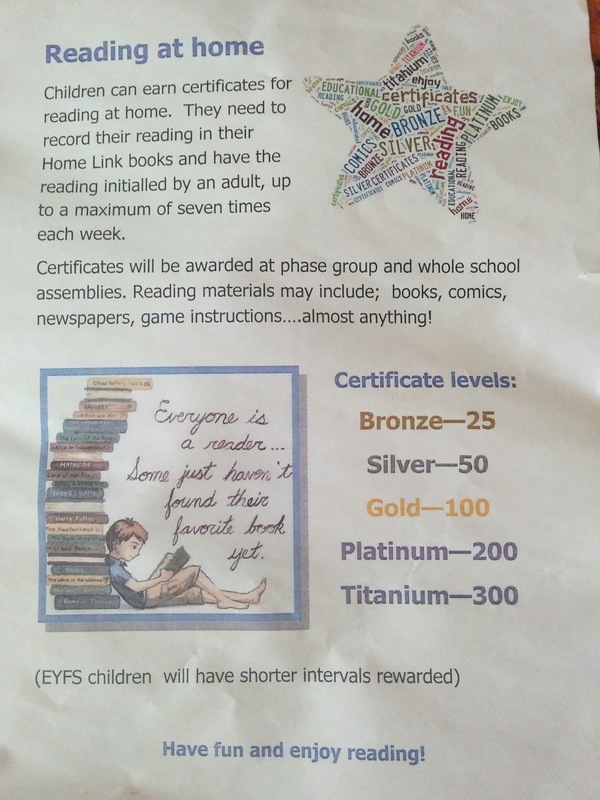 Oh and just to point out, we note down one read per day, so a total of seven per week, even if my children do read closer to 50 times a week with the system we have at home. 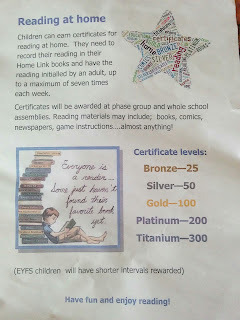 So Playground Mum who kinda accused me of noting down multiple reads a day in order to get the Children certificates quicker, that's not how it works and that's not what we do. And last week, both Top Ender and Big Boy reached 300. And in the Friday assembly, both children got their certificates. They came home happy, with their certificates clutched in their hands, grinning wildly and chuffed to pieces that they had reached the last level before the end of the School year. I guess, with all the reading we do you wouldn't be surprised that when Collins Big Cat Books asked if we'd like to review some books, we said yes. 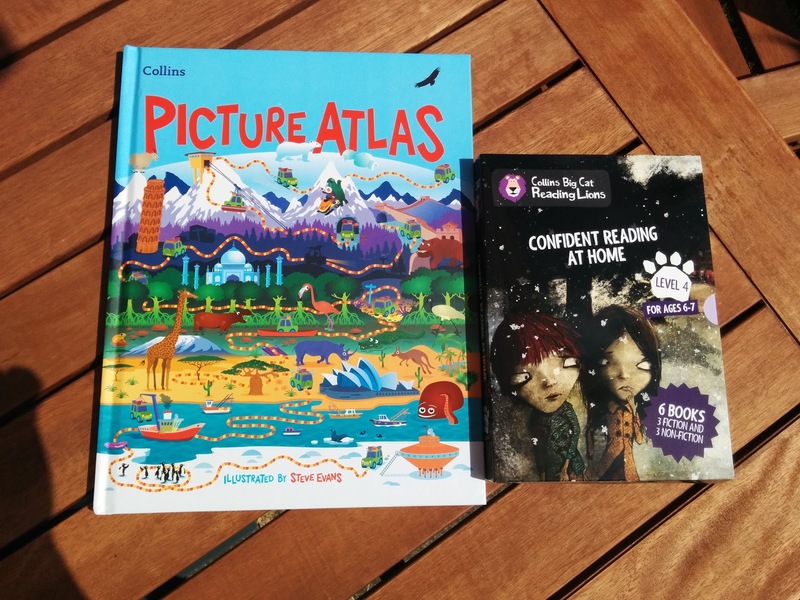 The bumf for the Collins Big Cat books are a great tool to help children build their speaking, listening and reading skills outside of school and a great way to encourage parents to help with their children’s reading progression. Well, actually it's less bumf and more true. The books that we were sent have been great and have allowed Big Boy (and Top Ender who's borrowed the books herself!) to read aloud and build upon the skills that he is working on at School (and at home! ), skills which will stand him in good stead for the rest of his School life. Here take a look at a video of BB reading the first chapter of Class Six and the Very Big Rabbit. I am so proud of this little boy and his reading skills, there was a time when the staff at School were worried that he had a speech issue, but as you can hear, that clearly isn't a problem any more! See more about what we think in our video review and let us know if you are big readers in your family or if you find it hard to get your children motivated to read in the comments below. We were sent the Collins Big Car Books to review. Big Boy has taken the Picture Atlas with him everywhere.